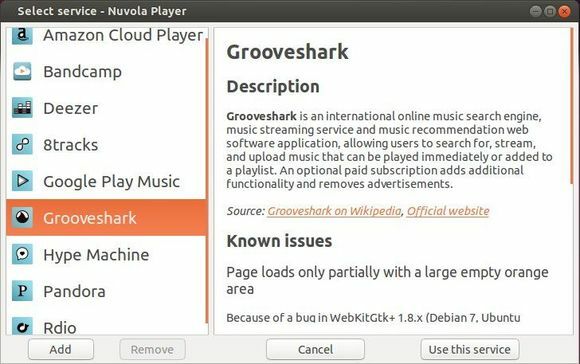 Nuvola Player, app that integrates Google Music, Bandcamp, Deezer, Grooveshark, Hype Machine, 8tracks, Pandora, Rdio and Amazon Cloud Player with Linux desktop recently released version 2.3.0. As you may know, the developer has announced that Nuvola Player is discontinued until a new developer is found or a funding goal ($59.00 per week) for the current maintainer is reached. Now, the developer receives $60 per week and Nuvola Player seems to be active again! Service updates manager, which can be used to download and install updates of service integrations providing hot fixes for breakages caused by sudden changes in a web interface of streaming services. 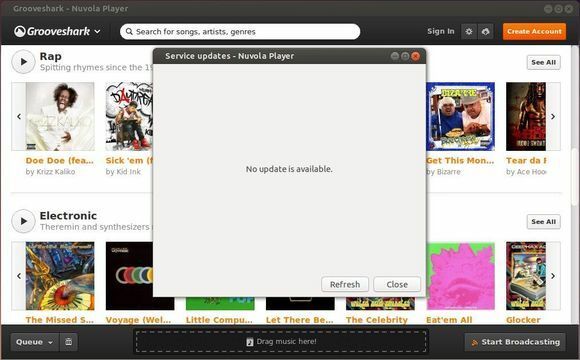 Purpose of these updated is to provide these fixes faster without waiting for new Nuvola Player release. Google Play 4.4: fixed sandbox pattern to enable Flash object for playback. Updated VAPI files and added libnotify.vapi from Vala 0.22.1 tarball to fix build error. Google Play 4.5: Fix next/previous action broken by a recent web app update.